To maximize your search engine optimization budget, look for scalable projects that can improve natural search performance across the site with a single action. Scalable SEO tends to require a strong relationship with your development team, or at least strong direction from management that SEO is a priority across both marketing and IT. Individual page-by-page optimization is critically important, but the results for that action are limited to the single page you’ve optimized. Scalable SEO takes a single action and amplifies it across every page on the site. Scalable projects are a good place to start when you need to prove that SEO can produce results, or when you need results more quickly. The impact tends to be larger and easier to measure, though it can also be harder to nail down which project produced results when multiple projects go live in a single release that affect the same areas of the site. Scalable SEO takes a single action and amplifies it across every page on the site. Title tags are the most influential on-page SEO element. They should work in harmony with the other content elements on the page, but they are the leaders in indicating the keyword relevance for the page. Every site has a set of default formulas that populate the title tags for every page. These default formulas are used to generate a title tag automatically when the field isn’t manually specified, and are typically based on something like “Site Name | Page Name.” If many of your title tags are the same or are written in a suboptimal order, default formulas are probably the culprit. Simply modifying the default title tags for each template can optimize some sites dramatically. Page templates are most often developed based on design and branding needs, as opposed to SEO. But a few modifications can improve the performance of every page that uses that template. Add structured data — also referred to as schema — everywhere you can, in each template, using JSON-LD. It’s a way of categorizing individual words and data elements like price or availability or reviews in a way that makes it obvious to search engines what that data element is. Structured data enables search engines to use your information in their search-result features, such as rich snippets, answer boxes, and Google’s Knowledge Graph. For more information, see Google’s structured data guide. Also, make sure the main descriptive headline of the page — the one using plain words (not marketing speak) to describe a product, for example — is labeled as an H1 heading. Don’t worry if your site uses HTML 5 and there are multiple H1 headings. H1 headings are less powerful for SEO than they once were, but every bit still helps. Every page collects some amount of link authority over time. When products are completely removed from the site, the pages typically return a 404 file not found error, telling shoppers and search engines alike that the product is no longer available. For SEO, however, that 404 error also tells the search engines to ignore the authority that page had collected and remove the page from its index. Instead, why not 301 redirect that product’s URL to the relevant product category, thereby recycling the page’s authority and using it to strengthen the rest of the site? You’ve worked hard to build up page authority. It’s a shame to waste it just because products are removed from the site. The only drawback is that shoppers may be confused if they try to follow an old link from some other site to that product page. But that can easily be overcome as well. Just show an overlay informing them that this product is no longer available and inviting them to enjoy the similar products found on your category page. 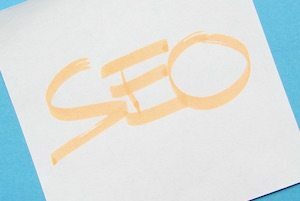 It’s kinder than an error page, anyway, and benefits your SEO at the same time. Duplicate content creates competition between exact copies of the same page and splits link authority, thereby weakening all the page’s ability to drive traffic and sales. Use 301 redirects to fuse the most common forms of duplicate content together for SEO purposes. This action has the potential to reduce duplicate content by 75 percent, depending on how extensive the issue is on your site. First, make sure that your site is only available at one protocol — HTTP or HTTPS. Google gives a small ranking boost to sites hosted on the secure HTTPS protocol. But be sure your entire site and all its components are ready to host securely before you redirect all your HTTP URLs to HTTPS. Then choose a subdomain variant — www or non-www. Lastly, request 301 redirects from your development team so that all your URLs load at only one combination of protocol and subdomain. For example, if you choose HTTPS and www as your protocol and subdomain canonical URLs, all your pages should load only at, for example, https://www.yoursite.com. Any URL string requested at the three other variants — https://yoursite.com, http://www.yoursite.com, http://yoursite.com— would 301 redirect to the same URL string at https://www.yoursite.com.